Why do we celebrate Martin Luther King, Jr. Day on January 21? Sometimes, we forget that the freedom we enjoy today was purchased by people who willingly sacrificed their very lives for the sake of our nation. Martin Luther King, Jr. was one of them. He was the man who dreamed of a country where all people, regardless of the color of their skin, are treated equally. He vigorously campaigned for every person across the country to be free from the chains of discrimination. His conviction caused him to become the most visible representative and leader of the civil rights movement. Goodwill Car Donations recognizes that Martin Luther King, Jr.’s advocacy created tremendous changes in the lives of the people across the United States. His stand against violence was demonstrated by how he confronted the racist issues that plagued American society during his time. That’s why on January 21, everyone is encouraged to remember the vision that this man fought and died for—a voice for the minorities in a world where equality regardless of race and ethnicity is yet to become a non-issue. The Life of Martin Luther King Jr.
To say that King made the most out of his short life is definitely an understatement. Born and raised in Atlanta, Georgia, the Baptist minister and civil rights activist was the second child of a pastor, Martin Luther King, Sr. and a former school teacher, Alberta Williams. King was also an accomplished student and attended Morehouse College at the age of 15 where he studied both medicine and law. King’s influence on the civil rights movement started when Montgomery, a highly segregated city, became the center of civil rights struggle in America. It was during the time when the Supreme Court ordered segregated seating on public buses that King felt the need to do something to change this system. He then came into the spotlight and became the leading inspiration for non-violent resistance. King’s response to the unconstitutional segregation on public buses was to create a group and that led to the founding of the Southern Christian Leadership Conference. Its primary purpose was to fight racial discrimination and grant full equality for all African-Americans through non-violent acts. As the leader of the group, King traveled across the country to educate the people about non-violent protests and civil rights. His efforts then bore fruits when Congress finally passed the Voting Rights Act, which granted voting rights to all African-Americans in the United States. Today, Americans regard King not just a hero to African-Americans—he’s a hero to everyone who believes in justice and equality. 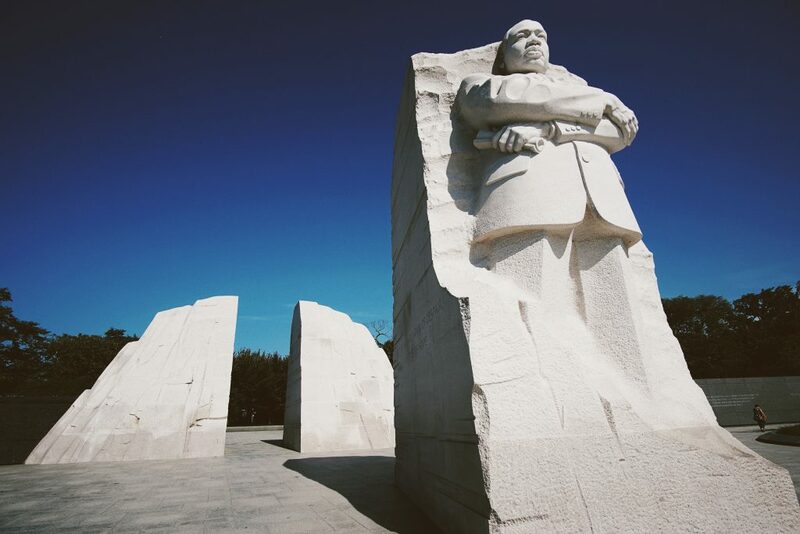 The Martin Luther King Jr. Day was created in honor of King’s efforts in fighting for the rights of African-Americans and eliminating the barrier between whites and blacks. After years of protests, the Congress and President Reagan finally signed a bill in 1983 creating a special U.S. holiday dedicated to remembering the life and works of King. From then on, Martin Luther King Jr. Day was celebrated every third Monday of January of each year. As we celebrate the life of Martin Luther King Jr., may we also remember to reach out to those who are largely forgotten by society—the disadvantaged individuals across America. If King were alive today, he would’ve done all he could to lend a hand to those men and women in our country who are saddled with disabilities, illiteracy, poverty, and other personal circumstances that prevent them from accessing opportunities for employment and personal growth. If you want to make an impact in your community as King did, you can do so by donating any type of vehicle to us at Goodwill Car Donations. We will turn your vehicle into a financial resource by auctioning it off and then using the generated funds to support the programs of Goodwill nonprofit organizations that specifically cater to disadvantaged residents in your area. Our beneficiaries receive skills and job training, career development and placement, scholarships, youth employment, livelihood, disability benefits support, and other community-building support services. Our basic objective is to enhance their quality of life and restore their dignity by eliminating barriers to opportunity and enabling them to reach their full potential. We do this by teaching them skills that best suit them, empowering them to find decent employment so they can support themselves and their family. In donating a vehicle to us, you won’t have to worry about towing because our team will handle it for you for free. Moreover, your charitable contributions will qualify you to enjoy a thumping tax deduction in the next tax season. To know more about Goodwill Car Donations, our donation process and other related information, check out our FAQs page. For inquiries, give us a call at our toll-free hotline 866-233-8586 or send us your message online. You can make your car donation by either calling us directly or filling out our secure online donation form here. Transform Lives on MLK Day! Celebrate Martin Luther King, Jr. Day on January 21 by impacting the lives of the less privileged people in your community. Call us at 866-233-8586 and transform lives with your car donation!